This term we have been focusing on World War 1 as our topic. 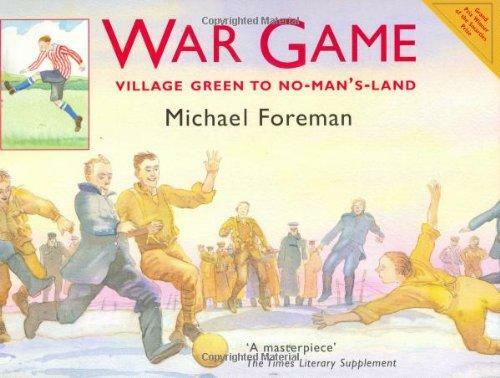 We have used a book called War Game by Michael Foreman as a stimulus for discussion and a way of fully understanding what life was like 100 years ago. In science we have been learning all about Light and Dark and how shadows are formed. We have been looking at the different countries that were involved in the war. We have also been looking at different continents and how different countries share the same continent. We have been looking further into our class value of Trust, presenting a class assembly to the rest of KS2. The children were amazing and really did themselves proud! Please take a moment to browse through the many photos from our 2 day residential from earlier this year. This term we are looking at Healthy Eating and Teeth as our science topic. Within our literacy lessons we are using the book The Green Ship by Quentin Blake as our class novel. This is an adventure story where two children travel the world so following on from this we are looking at Volcanoes as our class topic. The children are currently making their own volcano models, pictures to follow. Firstly, we created our volcanoes out of paper, cardboard and newspaper. As part of our literacy work on week commencing 27.1.14 we made sandwiches as part of our instructional writing work. The pictures can be seen below. The children of year 3 will be learning all about the Romans this term. We will be having a visit to our school from a Roman soldier who may be looking for new recruits! The visit will take place on Wednesday 27th November, where children will have the opportunity to take part in a Roman feast and be trained as a soldier. We are learning all about Rocks and Soils in Science and the children are really enjoying investigating the world around them. The children recently visited the church following on from our Signs and Symbols lessons. We will shortly be posting photos! On 27th November we had a visit from a 2 Roman soldiers. The children looked fantastic in their costumes and had a wonderful day and learnt a lot of Roman facts (some of them a bit gruesome!) We started making our Roman shields, did mosaics and had a Roman feast. In the afternoon the soldiers showed the children how to protect themselves in battle using the tortoise battle formation and talked about the daily lives of Roman soldiers. This week we focused on Anti-Bullying and why friends are so important to us. In 3YM we spent time thinking about how we are all connected to each other and why we should all look after each other. In the pictures below the children sat in a circle and passed a ball of string to somebody they felt connected with, as you can see we are a very well connected class!